Today marks the five-year anniversary of Kerby Jean-Raymond's coed ready-to-wear label Pyer Moss. 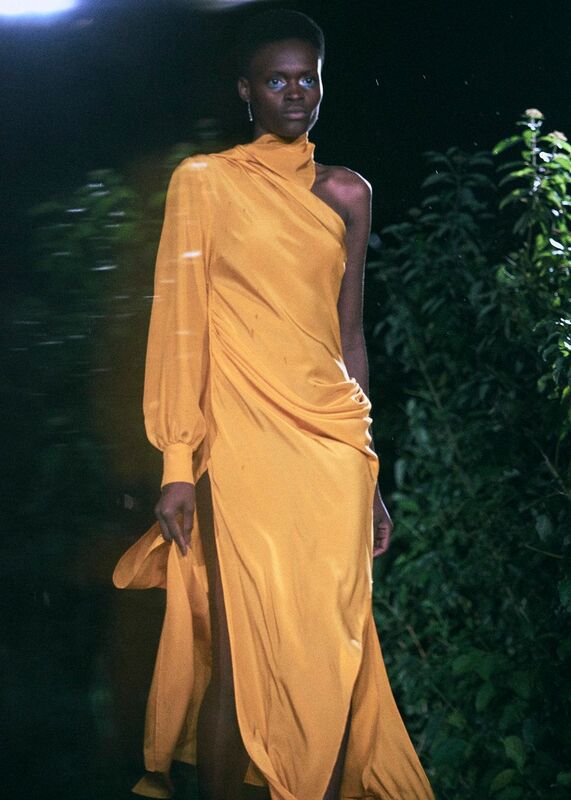 The 2018 CFDA / Vogue Fashion Fund finalist decamped to East Brooklyn's Brownsville neighborhood for his spring 2019 show. His choice of venue was the Weeksville Heritage Center — the site of one of America's first free black communities established after the end of slavery in New York — that's now an institution dedicated to preserving African American culture. Paintings from multidisciplinary artist Derrick Adams's "Family Portrait" series was translated into prints and applied to fluid tunics, dresses, trousers, and handkerchief hem skirts. Seen grilling outdoors, walking down the wedding aisle, and cradling their children, the figures in Adams's works own their space, conveying a confident, positive depiction of black family life. Jean-Raymond continued his Reebok partnership this season with technical outerwear, shorts, wide-cut active trousers, and sneakers. 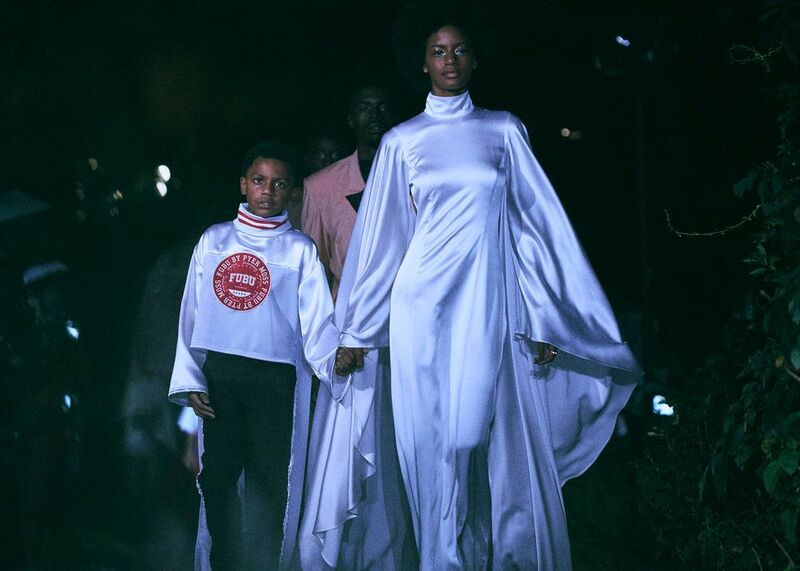 The designer also teamed up with Daymond Johns's Queens-born sportswear label Fubu on a maxi dress informed by sports jerseys, a tunic version in a children's size finished with a cape, and a pale yellow, logo vest. Phrases including "See us now?" and "Stop calling 911 on the culture," were emblazoned on a cummerbund and t-shirt respectively. Touching on the visibility of black talent and police brutality, the sentences reflect Pyer Moss's standing as a medium for social commentary.